Is it cold enough outside? 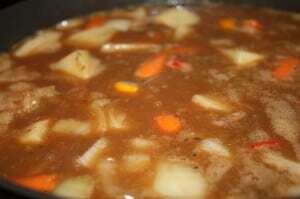 Try something warm like this Beef Stew Recipe. And it pays to not be afraid to make semi homemade. If there is something that I can do to make my life easier and still taste delicious, I’ll do it. It’s funny to me how many people ask me for this recipe. 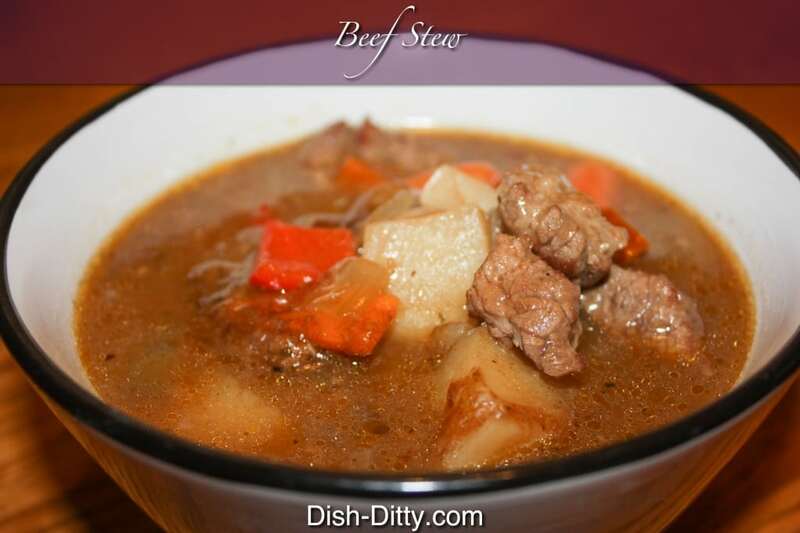 So, here it is, not much to it, but if your beef stew ever tasted more like soup, try this recipe and you’ll be happy with the results. 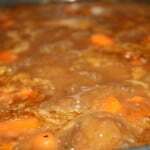 Sometimes it pays to not be afraid to make semi homemade with this Beef Stew Recipe. If there is something that I can do to make my life easier and still taste delicious, I’ll do it. 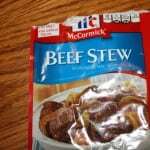 Using McCormick’s Beef Stew seasoning makes a delicious base to my beef stew. There's nothing wrong with that, right? 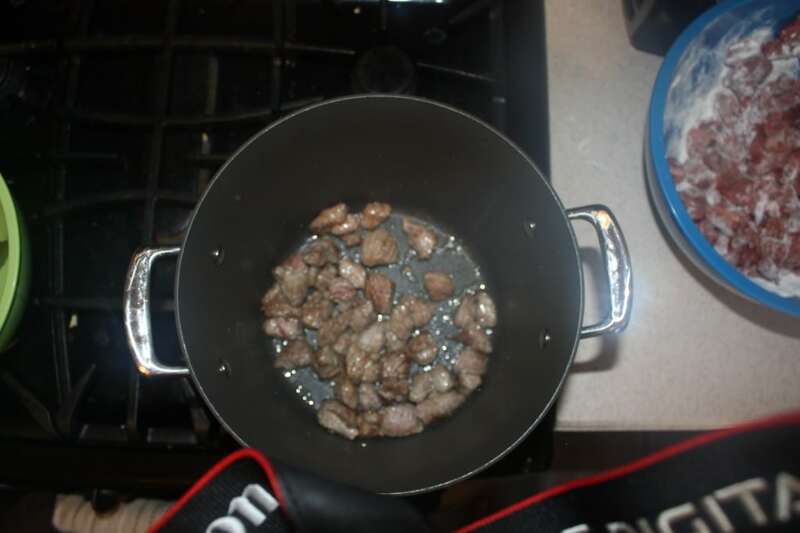 The key to a delicious beef stew is the browning process. 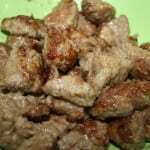 Without the flour on the beef and without the browning, the beef will be chewy and the stew will lack flavor. Season the beef with garlic salt and pepper. 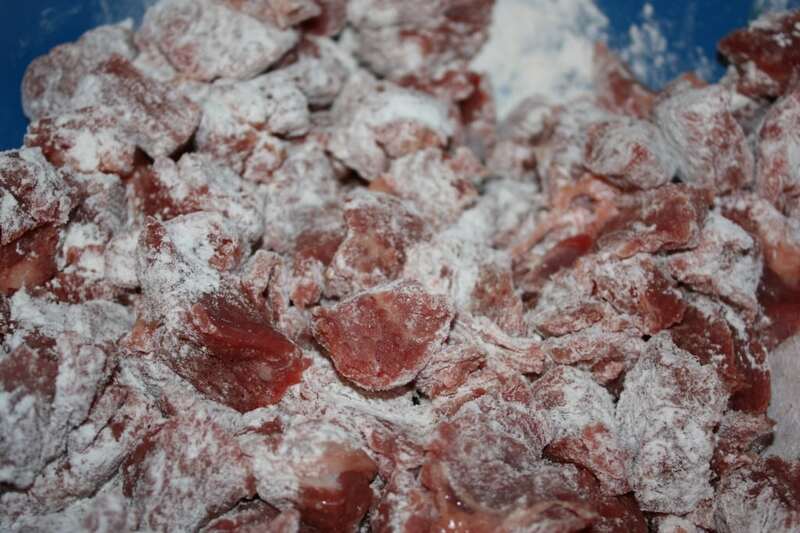 Sprinkle with flour and cover the beef evenly with flour. In large pot, put 1/8 cup of olive oil and heat. Add about 1/4 -1/3 of the beef to the pot and brown. Remove and add a little more oil and more beef. 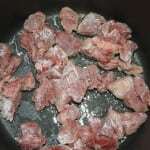 Continue to brown beef in batches until all the beef is browned. Add beef back to pot with wine and cook for about 1 minute. 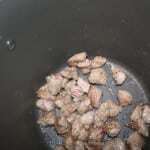 Add to pot the water, bouillon and seasoning mix. Mix well and bring to a boil. Reduce heat, cover and simmer for 45 minutes. 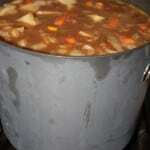 Add cut up vegetables to pot and simmer for an additional 1 hour. Refrigerate or freeze leftovers. 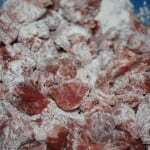 I usually freeze in serving size batches. Add vegetables and cook for 1 hour. No Replies to "Beef Stew Recipe"
Today is the first day of fall, so it’s time to start cooking some fall favorites. 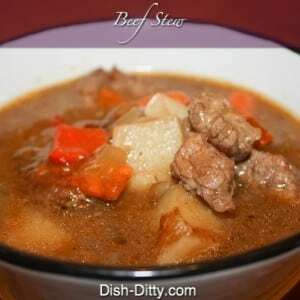 With this Beef Stew Recipe, it pays to not be afraid to make semi homemade. If there is something that I can do to make my life easier and still taste delicious, I’ll do it. It’s funny to me how many people ask me for this recipe. 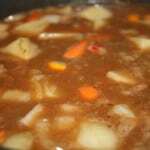 So, here it is, not much to it, but if your beef stew ever tasted more like soup, try this recipe and you’ll be happy with the results.